The magnificent country wide general strike on 8-9 January 2019 reflected the tide of people’s anger against the anti worker, anti people and anti national neoliberal policies pursued by the BJP led government at the centre. It surpassed, in its sweep and depth, even the earlier two massive general strikes, on 2nd September 2015 and 2016 held during this Modi government’ regime. The participation of workers in the general strike across sectors and the massive support and solidarity it received from all cross sections of people across the country indicate the growing resentment of people against the government. The national organisations of the peasants and agricultural workers, dalits, adivasis etc,. extended active support and called for a ‘grameen bandh’ bringing rural India to a standstill. The retired employees’ organisations also have actively campaigned for and supported the strike. Full reports of the strike have not been received. Below is the information as up to the afternoon of 9th January. The strike in Assam was unprecedented. All the tea gardens were closed. Refineries were closed. Workers, both permanent and contract workers picketed and demonstrated outside several refineries. Workers along with fraternal mass organisations of peasants, agricultural workers, students, women etc held rail roko all over the state. Police arrested hundreds of activists including Tapan Sharma, general secretary of the state committee of CITU. The strike received massive response from the working class in Bihar. Road transport was totally paralyzed. Scheme workers, construction workers, beedi workers participated in the strike and held huge rallies in Samastipur, Khagaria, Darbhanga, Jamui, Begusarai and other districts. Roads were blocked in Samastipur, Katihar etc. The state bandh called by the Left parties in support of the strike, on the issues of peasants and agricultural workers and against the deteriorating law and order situation in the state, on 9th January was total. The industrial workers and employees in NCR Delhi joined the strike in a big way. Only 5 workers joined duty in the public sector CEL. The industrial areas of Okhla 3 phases, Naraina, Mayapuri, Mongolpuri 2 phases, Udyognagar, Nangloi, Wazirpur, GT Karnal Road, Badlhi, Rajasthanpuri, Bhorgarh etc, were totally closed. Workers struck work and marched in processions which culminated in rallies in different industrial areas. Around 2000 to 3000 workers participated in each rally. Teachers and students of Delhi University and Jawaharlal Nehru University joined the strike en masse. Universities were closed. Gujarat, home state of Prime Minister Modi, witnessed such a joint strike of workers for the first time in many decades. The trade unions took up extensive joint campaign. Engineering workers in Baroda, Surat, Bhavnagar, Rajkot, Junagarh, Ahmedabad, most of them not organised under any trade union joined the strike in large numbers. Despite the threats of victimisation from the BJP government in the state, anganwadi employees and ASHAs joined the strike and held massive demonstrations in most of the districts in the state. For the first time midday meal workers joined the strike. BMS campaigned extensively against the strike calling it a ‘political strike’. Despite this, anganwadi employees affiliated to the BMS union in 3 ICDS projects in the state joined the strike and also the demonstrations held on the occasion. Big rallies were held in 8 cities – Ahmedabad, Surat, Rajkot, Junagarh, Baroda, Anand and Palanpur. Around 3000 to 8000 workers participated in each. The modern industrial area of Gurgaon in Haryana witnessed good response of the workers to the strike. Hero Honda declared 3 days’ holiday. Except Maruti, most of the big industries including Honda remained closed. Workers in all the smaller industries in the area struck work and joined rallies. A huge joint rally of industrial workers was held on 8th January. Workers in govt sector, roadways and unorganised sector like brick-kiln, forest, village chowkidar, construction etc joined the strike in a big way. Strike in Rajasthan in different industries, both in organised and unorganised sector has been quite noticeable despite severe police repression on the striking workers in the MNC dominated industrial area in Neemrana. There have been numerous demonstrations and procession by the striking workers along with others throughout the state. The scheme workers, MGNREGA workers, Hydel project workers as well as industrial workers in Himachal Pradesh participated in the strike. Huge rallies with mostly women workers were held in several district headquarters. Despite the difficult political situation in the state, unorganized sector workers and scheme workers participated in the strike in thousands in Jammu and Kashmir. Interstate bus services were off the road. A procession with the participation of scheme workers, railway contract workers, construction workers, coal mine workers, hydro project workers, vendors, middle class employees etc was held in Jammu. Protest demonstrations were held in almost all the districts in the Kashmir valley. The industrial areas of Bokaro, Ranchi, Adityapur, Gamharia in Jarkhand were almost closed due to the strike. Pharmaceutical industry was closed. Beedi workers and stone quarry workers in Pakur, Sahebganj and Chatra and Bauxite workers in Lohardaga were in total strike as were the workers in the copper mines and industry. Over 30 lakh workers, including industrial workers, public sector, government, bank, insurance, BSNL etc employees, scheme workers and unorganized sector workers, participated in the strike in Karnataka. There was total strike in public road transport; autos were off the road in Bengaluru. All the permanent workers in multinational corporations Toyota Kirloskar, Volvo buses and trucks, Coca Cola etc participated in the strike. Strike was total in the industrial areas of Bengaluru, Mysuru etc. Despite the large scale disturbances sought to be created by the BJP against entry of women of all ages to the temple in Sabarimala, joint campaign was extensively conducted all over Kerala with an effort to reach every nook and corner of the state. Strike was total. Workers and members of other mass organisations picketed trains at 32 points. Train traffic was disrupted and several trains had to be cancelled. Trivandrum, Cochin and Kozhikode airport ground handling staff were on strike causing disruption of flights. Because of the campaign, people extended support to the strike. There were very few passengers in the buses and trains. Thousands of workers have gathered at the 483 strike centres which have been opened across the state. These centres were active for entire 48 hours duration of strike throughout day and night. In addition to the total participation of Anganwadi employees, ASHAs and midday meal workers in the strike in Madhya Pradesh, thousands of workers in private industries, particularly cement industry participate in the strike. Strike was total in all the cement units where CITU had affiliated unions. In addition it was near total in Hitech and 75% in Heavy Engineering Workers. Workers in the industrial clusters in Indore, Neemuch etc,. and the contract workers in NFIL joined the strike. Though most of the road transport workers are not organised under any trade union, the extensive campaign by the CITU state committee resulted in massive participation of road transport workers with transport being seriously affected in 22 districts in the state, where no passenger buses could run. In Bhopal, 70% of the buses could not operate and 80% of city buses were stopped in depots. Even under government pressure, only 15% – 20% buses were operated. Strike in the coal mines in the state was also massive. With the total participation of the transport workers in BEST (Bombay Electricity Supply and Transport) in the strike, bus services were off the road in Mumbai. There was total strike by workers in multinational companies like BOSCH, CEAT, Crompton, Samsonite etc. Thousands of permanent and contract workers of Reliance Industries also joined the strike. The industrial areas in Pune, Nashik, Aurangabad, Kolhapur, Icchalkaranji were seriously affected due to the strike. Highways were blocked in many places. A massive rally planned jointly in Solapur could not be held as police denied permission because of Prime Minister’s visit to the city on that day. There was a bandh like situation in Odisha. Road transport was totally off. Strike was 80% in cement and engineering industries. The strike in the public sector units like NALCO, Port and Dock and Indian Oil was over 80%. Scheme workers totally participated in the strike. Unorganised sector workers held rasta roko and rail roko in several places. All political parties including the ruling BJD, except BJP supported the strike. Strike was total among the PUNBUS employees and electricity employees in Punjab and Chandigarh. Workers in the industrial areas of Ludhiana including Hero cycles, the cement factories in Bathinda, industries in Amritsar went on strike. Contract employees in private hospitals were on strike throughout the state. Scheme workers joined the strike en masse and participated in thousands in the demonstrations, rallies and rasta roko across the state. Strike in Tamil Nadu was immense. Pondicherry witnessed a total bandh like situation with all sectors being paralysed. Over 85% of the public sector Salem steel plant employees, 70% of the BHEL employees were on strike. Workers in Neyveli Lignite, Tuticorin port and Salem Chemplast also joined the strike. The textile industry including the cooperative spinning mills, power looms, NTC mills were affected. 50% of the workers in the engineering industry were on strike. Workers in Madras Export Processing Zone also went on strike. Manufacturing units in north and south Chennai were closed. Loading and unloading were stopped. Workers in several railway goods sheds were on strike. Majority of the total markets in the state witnessed total strike. 80% electricity employees were on strike. Bill collection was closed in 90% centres. There was total strike in Thiruvallur thermal plant. 85% autos were off the road. Tea, rubber and coffee plantation workers including those in big estates went on strike. Street vendors also joined. Many other industries including the famous knitwear industry in Tiruppur, chemical industry, Salt Corporation, Ashok Leyland, tanneries, Tasmac, sugar, etc witnessed massive strike. Scheme workers joined. Beedi factories in 67 villages and towns were closed. Crackers and construction workers were on strike. 80% of autos were off the road. In Agartala in Tripura, despite the use of force, BJP government could manage to get only 30% of the shops opened and around 30% of buses to operate. Almost same has been the situation in many other districts of the state. Teachers attended schools but there were no students. The main participants in the strike in Uttarakhand were the anganwadi employees and midday meal workers in addition to the government employees. In some places hotel workers, contract and outsourcing workers, work charged employees also participated. However, rallies were held in all the districts. East India Pharmaceuticals, Britannia and other big industries in Kolkata were closed due to the strike in West Bengal. There was total strike in the jute mills with all except one being closed as well as in the engineering industry despite the terror by the Trinamool goons. There was no loading in trucks. Passenger and goods transport by in the state were practically out off roads. There was total strike in the industrial areas in 24 Paraganas, Hooghly, and Howrah. In tea garden workers in Jalpaiguri, Alipurduar and Dinajpur were on strike and participated in Rasta roko demonstrations. There was good strike in coal and steel in the state. 60% of the permanent workers in Calcutta port were on strike. 70% of street vendors in Kolkata joined the strike. Universities and colleges remained closed with the lecturers and students joining the strike. Despite attck unleashed by Police and Trinamool Congress goons on the striking workers in the state, it was resisted by the workers along with democratic people from all walks of lives throughout the state heroically. Police arrested hundreds of activists and leaders including Anadi Sahu, general secretary of the CITU state committee. The overall participation of strike in the coal industry was around 70%- 75%. Production and dispatch almost collapsed. Both permanent and contract workers joined the strike in almost all the big projects including the outsourced projects. The strike in the oil sector was unprecedented, particularly in Assam. Employees in various refineries in Assam joined the strike and picketed offices. Oil workers of 3 out of the 4 unions in Kochi refinery joined the strike despite the management getting a court order banning the strike. Contract workers participated along with the permanent employees. Overall, strike in the petroleum sector has been substantive in the eastern, north-eastern and southern India while it was partial in western and northern part. There was good strike in the steel industry with near total strike in Vizag steel, Salem steel and Bhadravati. In Rourkela steel permanent workers joined the strike and picketed the plant and strike was around 50% on the whole. Contract workers joined the strike en masse. The strike in other steel plants viz., Bokaro, Bhilai and Durgapur was partial. Road transport was highly affected creating a bandh like situation in many states in the country. An estimated 3.5 crore transport workers and small owners participated in the strike. The strike in the road transport sector was total with the participation of workers in public and private passenger and goods transport including autos in Kerala, Bihar, Odisha, Assam and Arunachal Pradesh. Strike was over 80% in West Bengal. Strike had serious impact in Punjab, several districts of Karnataka, Maharashtra, and Jharkhand. Strike among insurance employees was near total all over the country. Lakhs of bank employees including the officers in the Regional Rural Banks, Cooperative Banks, Reserve Bank and National Bank for Agriculture and Rural Development (NABARD) participated in the strike at the call of All India Bank Employees’ Association (AIBEA) and Bank Employees’ Federation of India (BEFI). 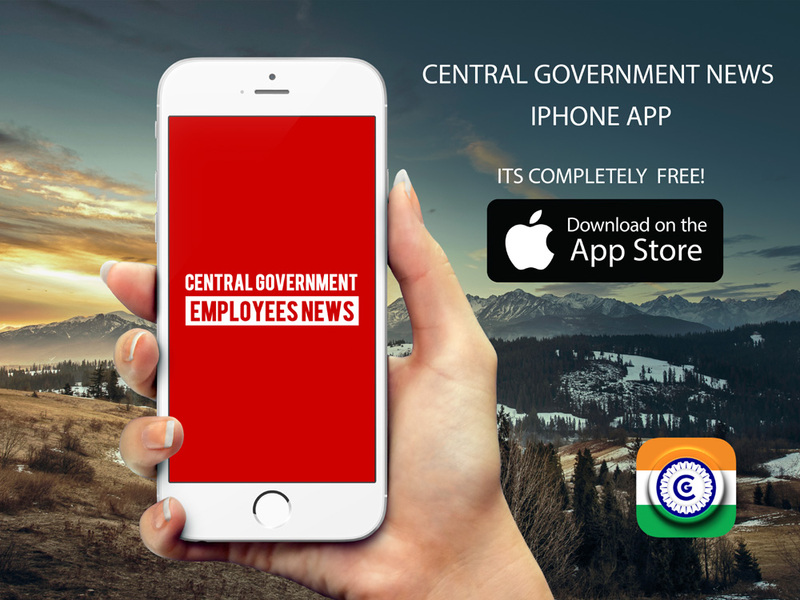 Around 13 lakh central government employees joined the strike across the country as per the call given by the Confederation of Central Government Employees and Workers. The strike was total in the postal and income tax departments. In addition employees of Audit and Accounts, Civil Accounts, Atomic Energy, Geological Survey of India, Customs and Central Excise, Survey of India, Botanical Survey of India, Central Ground Water Board, Postal Accounts, Indian Space Research Organisation (ISRO), Printing and Stationery, Indian Bureau of Mines, AGMARK, Central Government Health Scheme (CGHS), Medical Stores Depots, Film Division of India, Indian Council for Medical Research (ICMR), Indian Council of Agricultural Research, Central Food Processing Laboratory, Census Department, National Sample Survey Organisation (NSSO), Defence Accounts, Rehabilitation Department, Central Public Works Department (CPWD), Institute of Physics, LNCPE, Sree Chitra Tirunal Institute of Medical Sciences, Canteen Employees, Employees’ Provident Fund Organisation (EPFO), Passport Department, and various other autonomous and scientific research institutes participated in the two days’ strike. The strike among central government employees was total in Kerala, West Bengal, Tamil Nadu, Odisha, Telangana, Andhra Pradesh, Chattisgarh, Jharkhand, Haryana, Assam and other North Eastern states including Tripura. In all other states 60%-80% employees participated in the strike. State government employees in many states joined the strike in a big way. While the strike was 90% in Kerala, around 80% of state government employees in Haryana and several other states joined the strike. In Uttar Pradesh over 60% employees were on strike while it was 40% in Himachal Pradesh. In many states retired employees, including EPS 95 pensioners extended solidarity and support to the strike by joining the demonstrations and rallies. Particularly significant in the strike was the enormous solidarity and support extended by the various sections of people – the peasants, agricultural workers, women, youth and students etc. In addition, the organisations of tribals, dalits etc also supported the strike. Thousands of members of these organisations and their national and state leaders directly participated in the demonstrations, rallies, rasta roko and rail roko all over the country. True to its commitment to the divisive ideology as a member of the sangh parivar, and ever loyal to its fraternal political wing the BJP, the BMS tried to confuse and divide the workers nursing illusions to weaken the strike. The BMS, which was involved in preparing the joint charter of demands of the central trade unions when it was part of the joint trade union movement, now finds the demands to be ‘political’. It had no problem in participating in struggles including strikes when the Congress led UPA government was in power. But, with the BJP in power, even when the government is fast carrying forward the anti worker amendment to the labour laws to trample labour rights underfoot, totally ignoring the suggestions of the central trade unions, neglecting the tripartite bodies, BMS strangely finds the government to be ‘positive’ to workers’ demands. It gathered a few breakaway groups of central trade unions and created a platform, opposed the strike and actively campaigned against the strike. But the working class of the country totally rejected its hypocritical manoeuvres. These attempts in fact boomeranged as the magnificent two days’ strike clearly showed the participation of their own ranks in the strike in several states. What is required now is to take the struggle against the neoliberal policies forward and heighten and intensify it by strengthening the unity of the entire working class and the unity of the working class with the all the other sections of toiling masses.